The Arab, Lebanese Druze have a fascinating history that dates back to 1009 AD when one man claimed that he was god incarnate. Thus began a new religion that has remained to this day. The first Lebanese Druze to come to America arrived in the early 1900's where they kept a low religious profile, a few even became nominal Christian. They migrated from Lebanon, southern Syria, Jordan, and the Galilee region in Israel. The most recent immigration occurred in the 1980's. They often send money back to their families and visit their homeland as often as possible. Traditionally, they were farmers and often grew their own gardens. They typically eat a wide variety of vegetables with pita bread, and they drink a very strong coffee. Their diet is predominantly vegetarian and will only eat lamb on special occasions, they will occasionally eat chicken or beef. They live more of a form of western living in the United States. They have all but stopped naming their children with religious names and have adopted western dress. Although they seem to have assimilated, their private life still advocates their unique worldview identity. For instance, their homes are relatively simple, avoiding extravagant furniture and keeping their traditional tables that are low to the ground with thin pads on the floors to sit. Modern day Druze adopt and adapt to westernization. Moreover, adherence to their unique form of Islam reinforces their people group identity. Their quasi-Muslim sect is part of the Shia Islam denomination of Islam. Characterized by an eclectic system of doctrines and by a cohesion and loyalty among its members, enables Lebanese Druze to maintain their close-knit identity and distinctive faith. They permit no conversion, either away from or to their religion. In addition, marriage outside the Druze faith is rare and is strongly discouraged. To name a few, Druze chapters are found in ... Los Angeles, California; Dearborn, Michigan; Charlotte, North Carolina; Boston, Massachusetts; Philadelphia, Pennsylvania; Dallas, Texas; Houston, Texas; Washington, DC; Seattle, Washington; New York, NY; Raliegh, North Carolina. Also, Druze are scattered in Arizona, central and southern Florida, Georgia, Connecticut, northern California, northern Illinois, Ohio, Oklahoma. Due to their exclusive religious nature and their blending with mainstream American culture, they are somewhat a hidden people group. Population estimates for Druze people in the United States range between a few thousand and upward to fifty thousand. Pray that evangelical Christians will intentionally seek to discover, identify, and form relationship with Druze people. 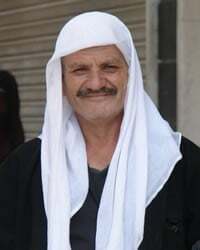 Pray that God will lead evangelical Christians to the right Druze people who are open to form deep and meaningful relationships with others outside their unique people group. Pray that God will work in the lives and hearts of Druze people.